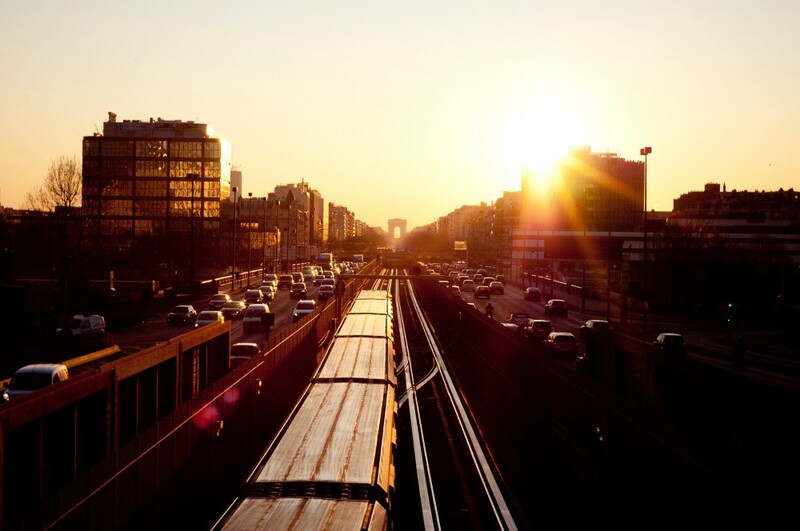 Everyday, millions of people rely on regional transit as their main form of transportation to and from city centers. Over the years, cities and their population have grown to be more aware of its rapid expansion and become environmentally conscious. Light rail transit has become a popular form of transit all over the world. Light rail, or LRT (Light Rail Transit), is a form of urban public transit that works using a rolling stock similar to a tramway. It has a higher passenger capacity and runs on an exclusive track. Some light rail systems date back to the early 20th century. Though many have shut down since then, in the recent years various cities, like Los Angeles and Jersey City, are rebuilding, restoring, and updating their light rail transit systems. The benefits to having a light rail transit system has been reevaluated and found to bring many advantages to city infrastructure in the present day. One of the most directly relatable benefits of street level transportation is that it greatly improves accessibility. Anybody can board and access these cars regardless of their challenges. In underground systems, commuters need to use escalators and elevators, which are major challenges to those with disabilities that affect movement and travel. Surface based transit means that commuters don’t have to make their way up and down stairs and escalators in stations and transfer points. Commuters who take more than one form of transit can more conveniently switch on and off of LRT systems in comparison to busses and subways where the platform location and vehicle accessibility is not an issue. Surface transport means travel time for commuters is reduced; wait time for elevators is taken out of the equation, and transfer time between lines is reduced because passengers don’t have to travel as far of a distance to reach the corresponding boarding points. Another common problem is traffic. Congestion is the most common headache for many commuters due to prolonged travel times and overpopulated roads. Many currently drive automobiles for their daily commutes because the existing transit systems don’t provide enough benefit to them; much of city transit rely on bus systems but with the vehicle congestion that already exists on the roads, there are often delays that occur during bus trips resulting in unhappy commuters. Though driving personal vehicles can provide a more comfortable transportation option, it only continues to increase the amount of traffic on the roads. These issues exist because the cost of driving automobiles are lower for car owners and they feel as though they are not responsible for pollution and congestion caused by their decisions. 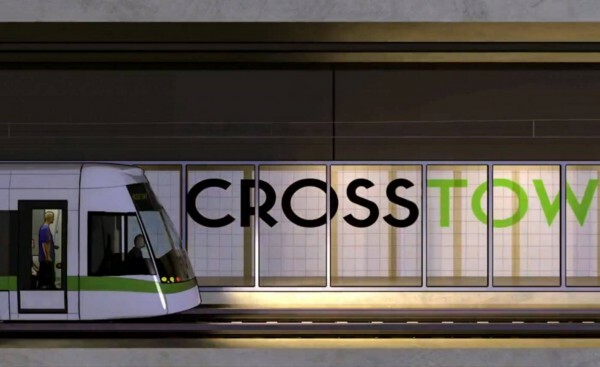 LRT systems provide an environmentally conscious solution, and as research has shown that light rail could serve as a marginal reducer of traffic congestion during peak hours. Many of the general public are now taking notice of these solutions and take more consideration when deciding what form of transportation to commute with. 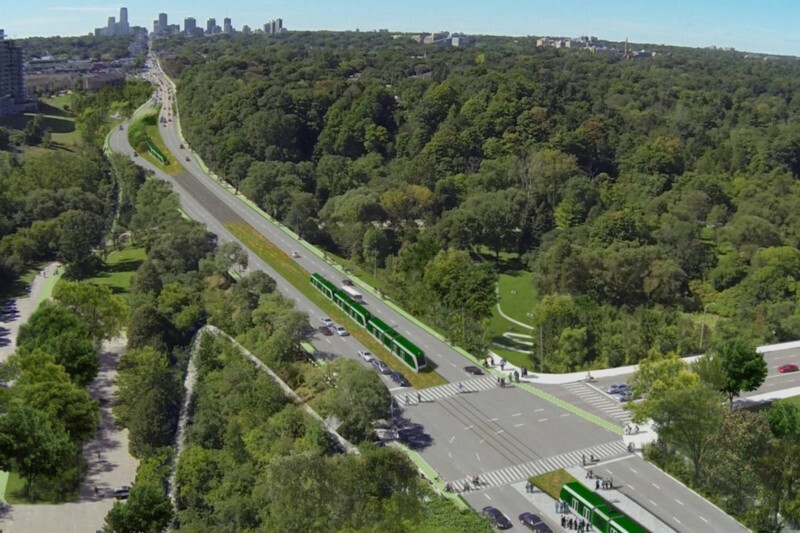 Though the costs of building light rail systems are relatively high, for example the Eglinton Crosstown project in Toronto, Canada is at $9.1B, most systems receive federal subsidies that cover a large portion of the construction costs. Due to the fact that LRT systems are surface based, the stop designs are regularly quite minimalistic. The upgrade potential of a surface based system is much larger than if the city was to build an underground system, as accessibility for equipment and personnel is much easier to manage. Light Rail Transit is not only an investment to improve transportation, but also brings in economic benefits for the community. Studies have shown that commercial and residential property values can be higher when the properties are close to a light-rail station all over the world (R Knowles, F Ferbrache — Birmingham, CENTRO UK, Tram, 2014). 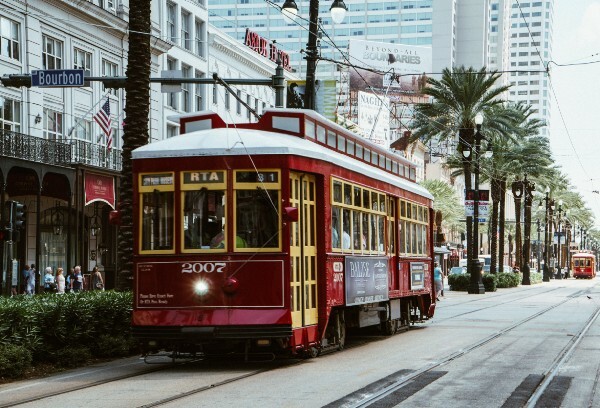 Light Rail Transit has emerged as a popular tool in the effort to revitalize downtown areas across numerous cities in the United States. Residential and commercial occupancies tend to increase, and tourism goes up. Land use intensifies, but it doesn’t mean affordability decreases; with easy access to fast, efficient transit, parking availability becomes a minor issue for residents, and development costs reflect these savings. LRT systems can bring an economic surge, driving growth for the community as it continues to grow and develop as a whole. The LRT system is more than just another form of transit. It provides benefits other than those related to the public commute. The surrounding environment will have less pollution and provide riders with more direct access to local stores and businesses. Light Rail Transit will help in exposing local culture as well as provide another form of industry and business promotion. A great example of community engagement is the Crosstown “Imagine Eglinton” drawing contest: the artwork from the selected submissions will be turned into banners and placed all along Eglinton Avenue. With more than 100 entries, many children within the community were able to become involved in the project; sixteen winners were selected, and the artists and their families were invited to an awards ceremony on June 2 at the Fairbank Public School. Light Rail Transit is a solution that is not only a transportation investment for the city, but an effort to bring improvement and progress to the community. « indus.ai to go, please!